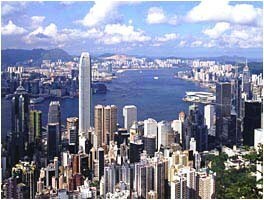 Hong Kong limited company can be deregistered in accordance with the Hong Kong Companies Ordinanc. All the members of the company agree to the deregistration. The company has never commenced business or operation, or has ceased to carry on business or ceased operation for more than 3 months immediately before the application. The company has no outstanding liabilities. The company has obtained a "Notice of No Objection to a Company being Deregistered" (Notice of No Objection) from the Commissioner of Inland Revenue. After received "Notice of No Objection to a Company being Deregistered" from Inland Revenue Department. Normally, an approval letter from Company Registry for the deregistration application will be issued in 5 working days. Then the Registrar will publish a notice of the proposed deregistration in the Government Gazette. If no objection is received within 3 months after the date of publication of the notice, the Registrar will deregister the company by publishing another notice in the Government Gazette declaring it to be deregistered upon the publication of the notice and the company will be dissolved. Lastly, applicant will be notified upon deregistration of the company. The whole process takes about 6 months. When we applies for Notice of No Objection to a Company Being Deregistered, you may be requested to submit the Audit report, Profit tax return, Business Registration fee and annual return. The above charges do not include the above services. They may be charged separately. 4. Applying for Deregistration of Limited Company from Company Registry.